Hero MotoCorp has an amazing collection of 125cc motorcycles for all those bike enthusiasts who love to take long bike rides. 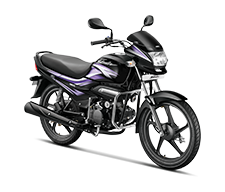 The best bikes in 125cc with amazing 125cc bike average include Glamour 125, Glamour, Glamour FI and Super Splendor. Hero MotoCorp offers the best 125cc bikes to buy. So, what are you waiting for? Read on to find your favourite 125cc motorcycle! If you’re looking for the 125cc bike price in India, get in touch with your nearest dealer to find the on-road 125cc motorcycle price in your area. If you’re looking for the best 125cc bikes to buy, then look no further! Get ready to ride the all-new Glamour 125 which is one of the best mileage bikes in India 125cc. The Glamour 125 is a marvel of a machine that boasts of muscular design, stylish graphics and a performance-packing 125cc torque on demand engine. Built to suit your riding style with modern features, this 125cc Motorcycle brings you better functionality, so you can always stand out and stay ahead. 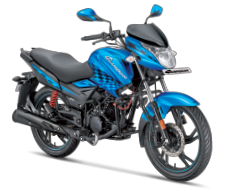 On closer inspection of the Glamour 125cc motorcycle, you will notice the cutting edge technology that makes it even more distinctive - the LED Tail Lamps, Wider Rear Tyres, Digital Analog Meters and the latest i3S Idle Start Stop System that makes it one of the best 125cc bikes to buy. The all-new Glamour FI offers Real Time Mileage Indicator to help you control fuel consumption in real-time, giving you unbelievable 125cc bike average. Also loaded with a powerful 125cc engine and stunning graphics, this masterpiece is one of the most economical 125cc motorcycles from the price point of view. Glamour is the perfect combination of style and power. 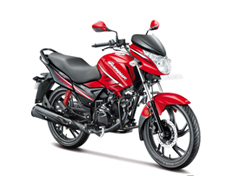 Its 125cc ASFS engine is power packed to give you the top 125cc bike mileage. 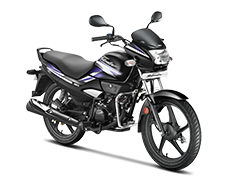 Its contemporary graphics and unique styling adds that element of style making it the best bike in 125cc. Glamour helps you stand out and stay ahead. 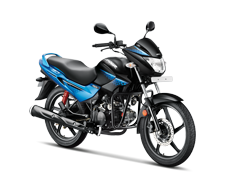 The new Glamour is a leading 125cc motorcycle with a powerful and high performance 125cc ASFS Engine and i3s Technology. Powered by a powerful 125cc engine that produces 11.3 bhp at 7,500 rpm and 11 Nm of peak torque at 6,000 rpm, it is designed to reflect your stature, making it ones of the best bikes in 125cc. The Glamour 125 comes loaded with a host of features like exciting new graphics, attractive meter console, classy tail light that sets a new standard in durability, more ground clearance, reliability and efficiency making it the best mileage bike in India in the 125cc segment.